The Companies Act (Strategic and Directors’ Report) regulations came into force on 1st October 2013, requiring certain companies to produce a strategic report. 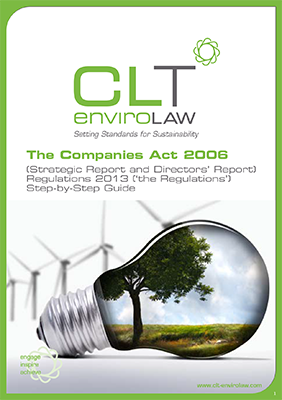 This guide provides information on what the regulations require companies to do. For more information on voluntary sustainability reporting frameworks and best practice.